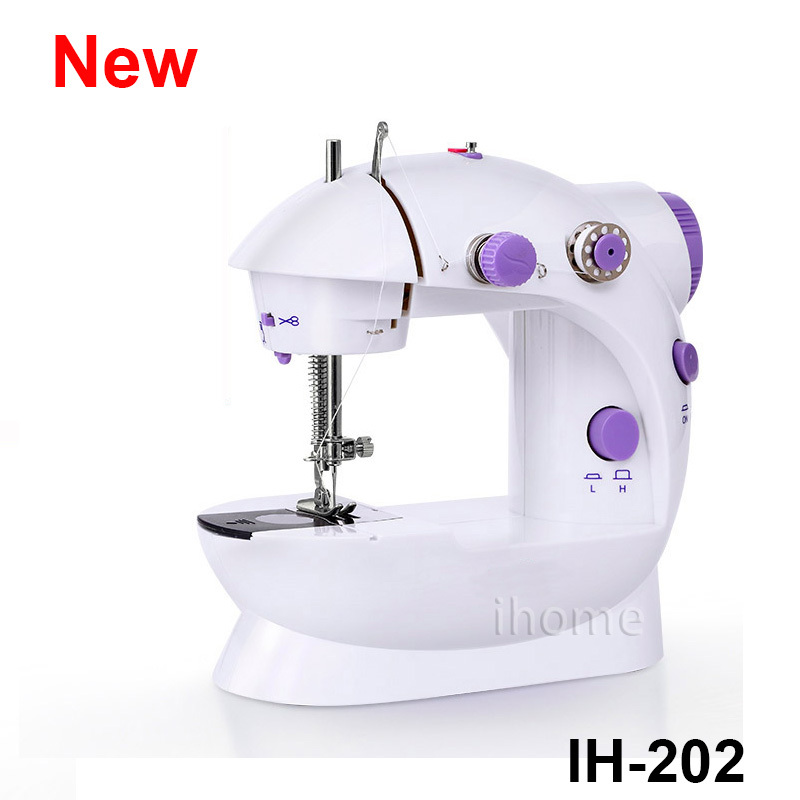 1) We purchase this sewing machine from the best manufacturer in China. 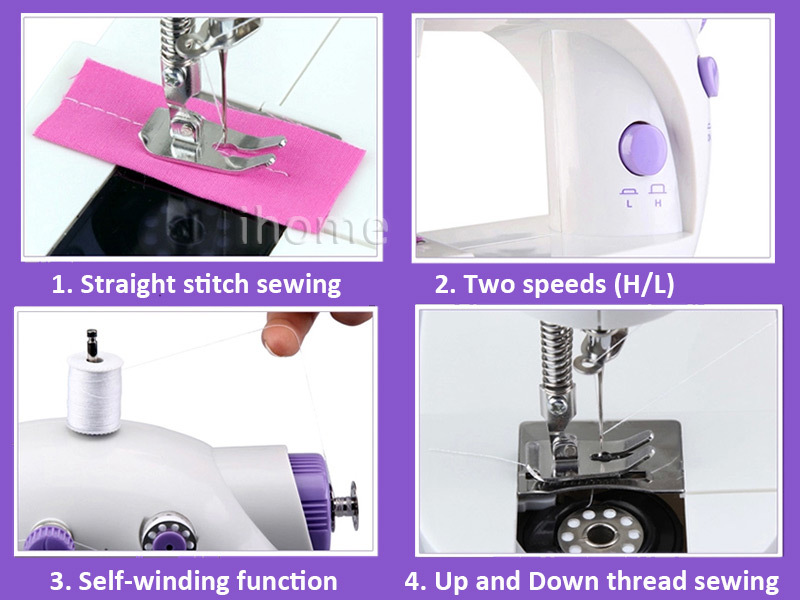 2) We test each sewing machine carefully before shipment, we tried our best to delivery the good quality goods on your hand. 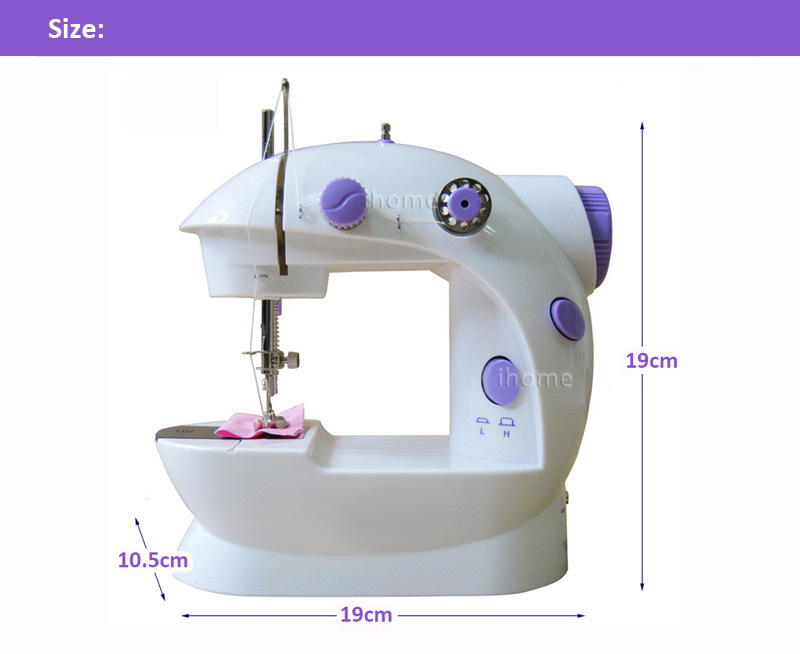 3) We exported many containers Sewing Machine to all of the world each year, we know more about the sewing machine. 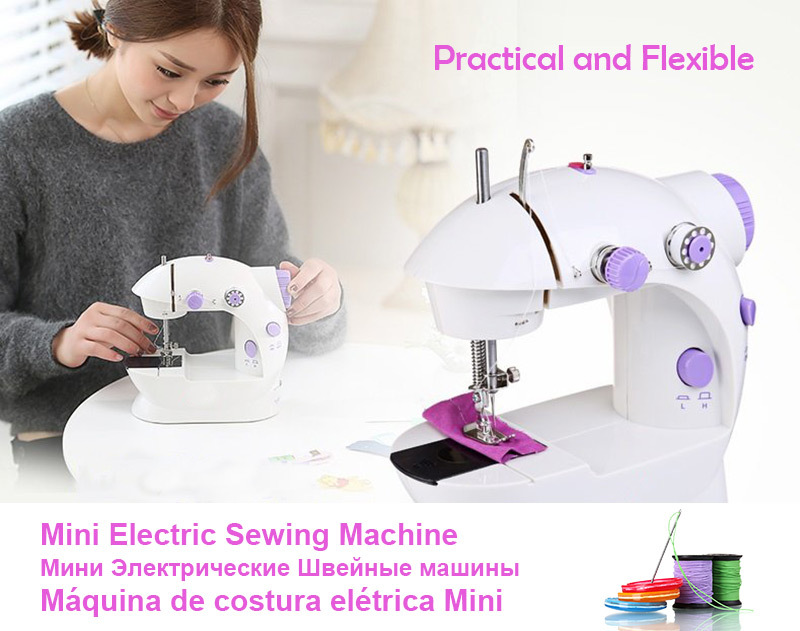 We guarantee that our sewing machine is without any Recycled material and all components are complied to the Quality Certificate. 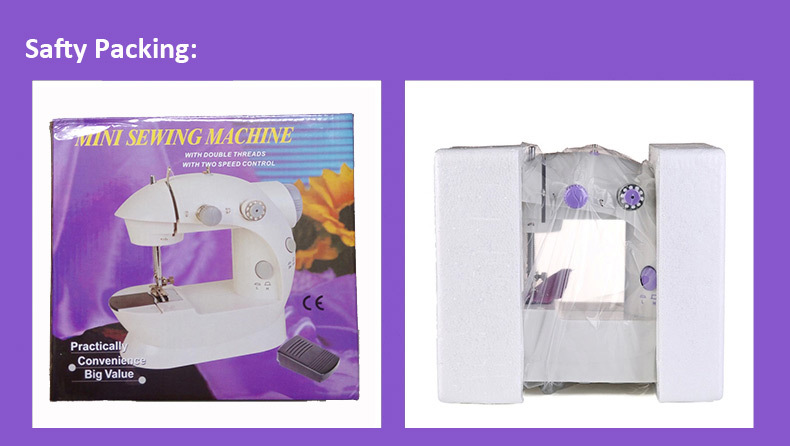 4) We guarantee all the accessories of our sewing machine all are brand new. 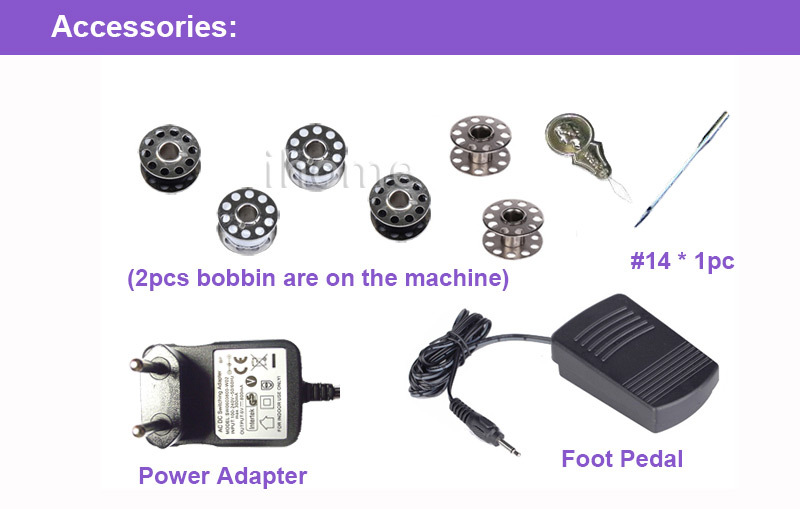 As we know, the cheap price model is with many recycled materials spare parts. And their motor is not made by pure copper, the product life is really short. 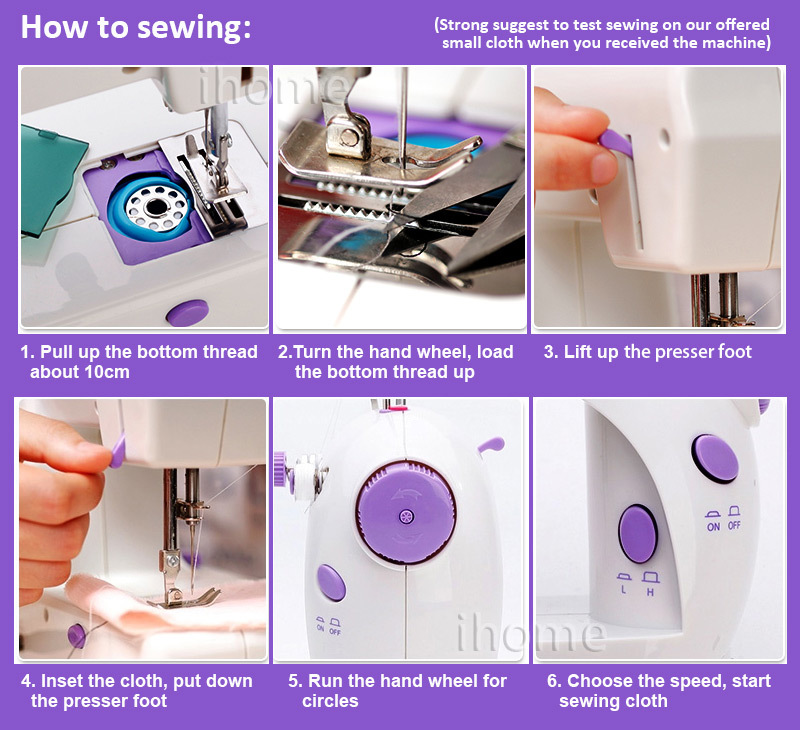 Can do normal sewing job in home. Easy to use. Desktop used sewing machine, batteries operated. Fix, mend or repair in seconds. Save Money! 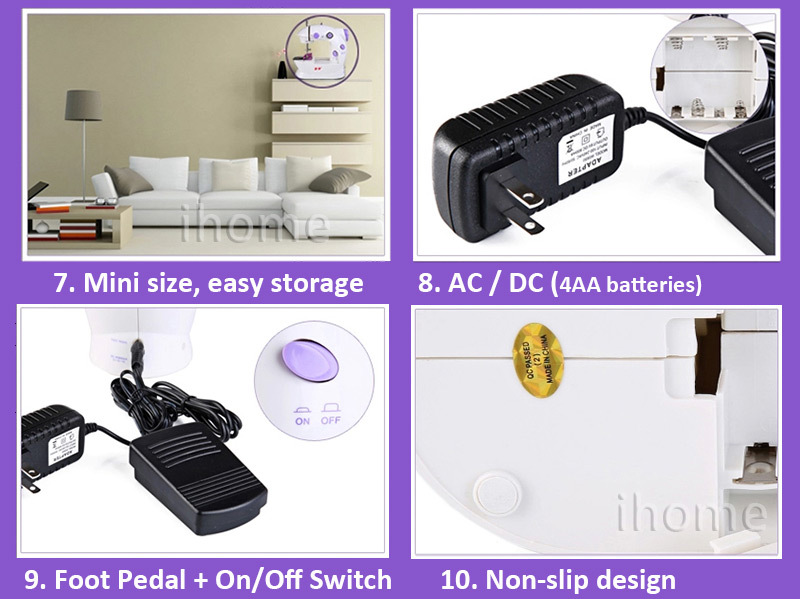 Lightweight, compact and portable, saving more space and man power. 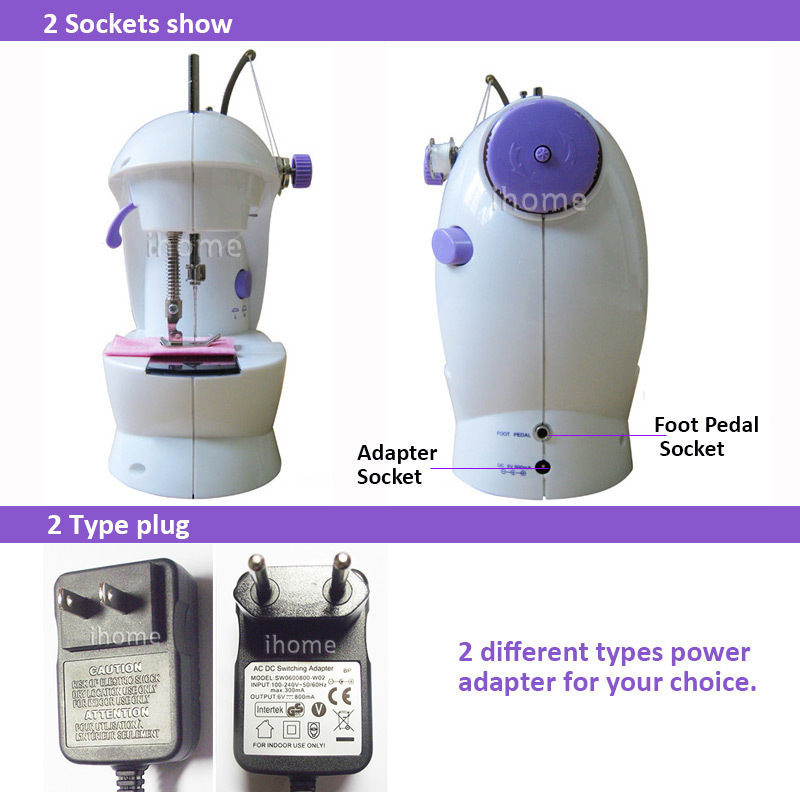 Ideal for homeowners, offices, students, craftspeople. Workable for Thin and Normal cloth. It is not workable for Thick Jeans. The newest upgrade, with led lighting and threads scissior !!! We offered English instruction manual. 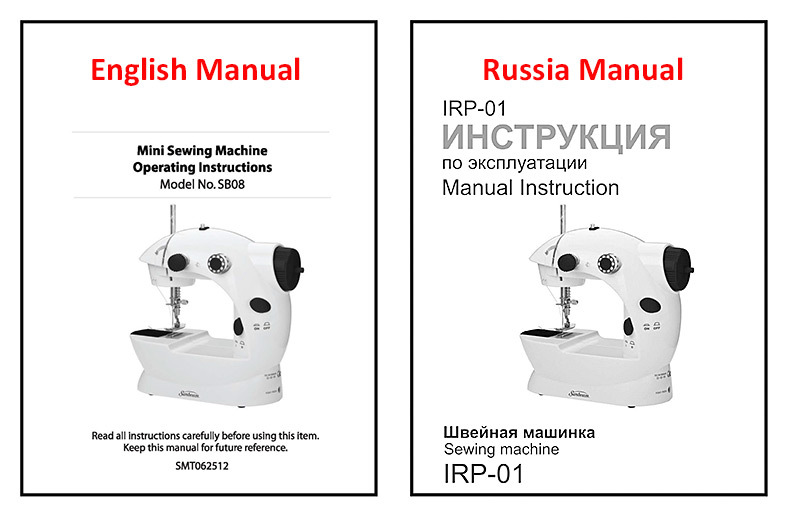 If you need Russia Instruction Manual, please leave your email address in your order. We will send the digital manual to you by email. 1) Defective of above sewing kits: Inside snip cutter is rusty. 2) The threads color might be different than the picture. 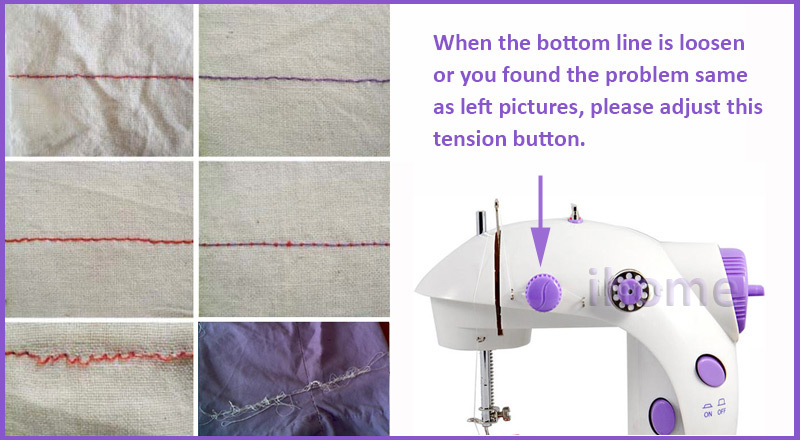 When you met the problem with your sewing machine. 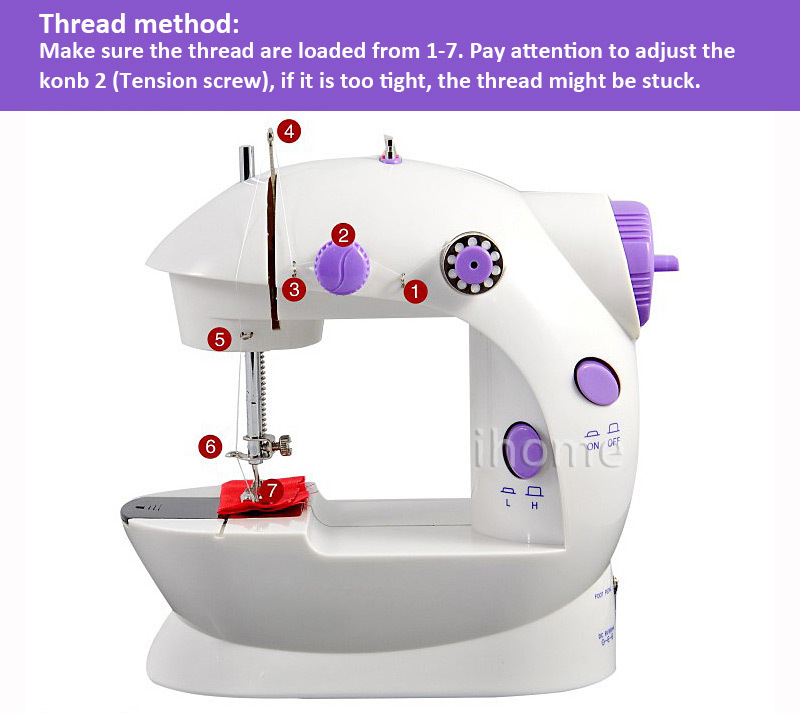 Please check whether the thread and needle is in order or not (See below picture).